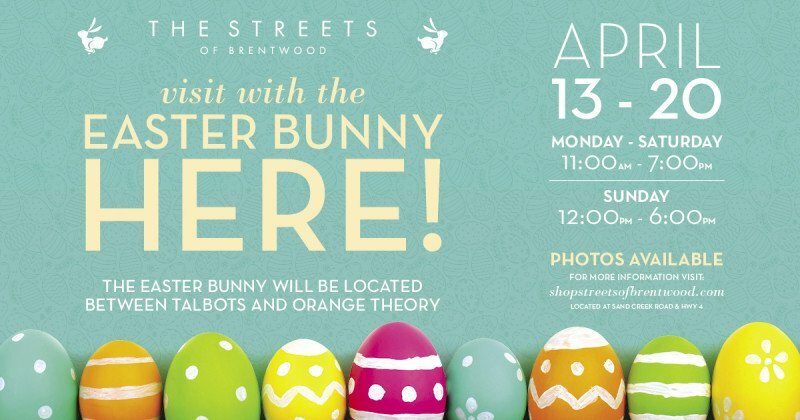 The Easter Bunny will be located between Orange Theory and Talbots. Photos available (click here for pricing information). No personal cameras, please.